How Far is Aero Grand? 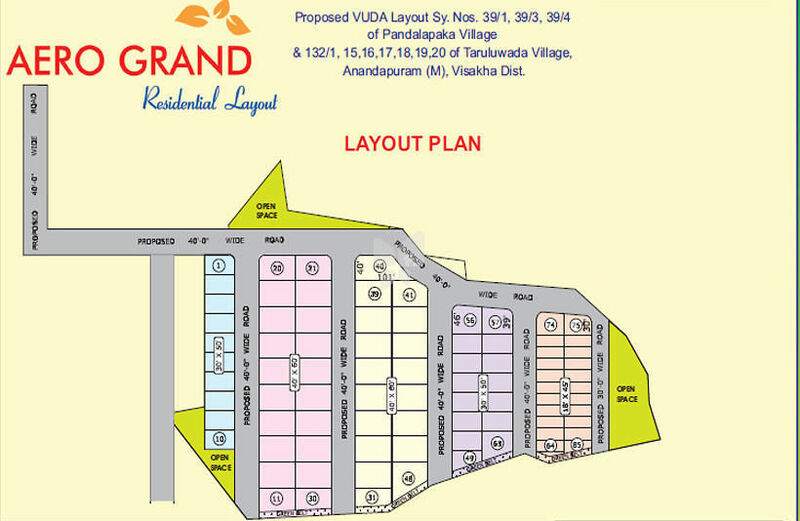 Our posh Residential Layout Aditya Aero Grand in Visakhapatnam, strategically situated @ Tarluwada village, Anandapuram Mandalam is spectacular ones that can be called a bouquet of beautiful homes that provide comfort, excitement, luxury and relaxation to our esteem customers. This Residential Layout gives its owners the peace of mind and ensures prosperity with harmony and happiness, and also, serves as best investment options as they are bound to appreciate faster in terms of the value in the coming years. This Residential Layout is at a short distance from all the proposed facilities and you have all the basic and civic amenities at your doorstep. With our residential layout, the opulence within affordability meets a plethora of style and convenience. Your personal aspirations and dreams find a place to grow in our residential layout. Our hand-picked residential layout comes into picture when affordable reality options are dwindling within the limits and urban populace is forced to look for better options outside. At Aditya Aero grand unlike other companies, we put the entire team of architects and engineers and all the resources of the company to offer you the best Residential Layouts in Visakhapatnam. Just 5 kms from Anandapuram Junction. Just 10 km from Tagarapuvalasa Junction.